First off, everyone loves ice cream. But what most people don’t realize is that our favorite treat is not made with the same simple ingredients that old-fashioned ice cream once was. Now, there are dozens of ingredients listed that we have never heard of but usually just assume they must be ok. WRONG. I am going to share with you my findings on some of the harmful ingredients found in today’s ice cream and the negative effect they have on the body. Polysorbate 80 has been found to not only negatively affect the immune system, but also causes infertility. Mono- and Diglycerides are made from oils that have a high mono saturated fat content, but they are still hydrogenated. Their only purpose is to create ice cream that is cost-effective with better volume, uniform structure and develop the right meltdown characteristics. Potassium Sorbate is a known carcinogen, showing mutation results in the cells of mammals. Researchers have found that artifical colors and flavors can increase hyperactivity in young children and they have also been linked to thyroid tumors and asthma attacks. 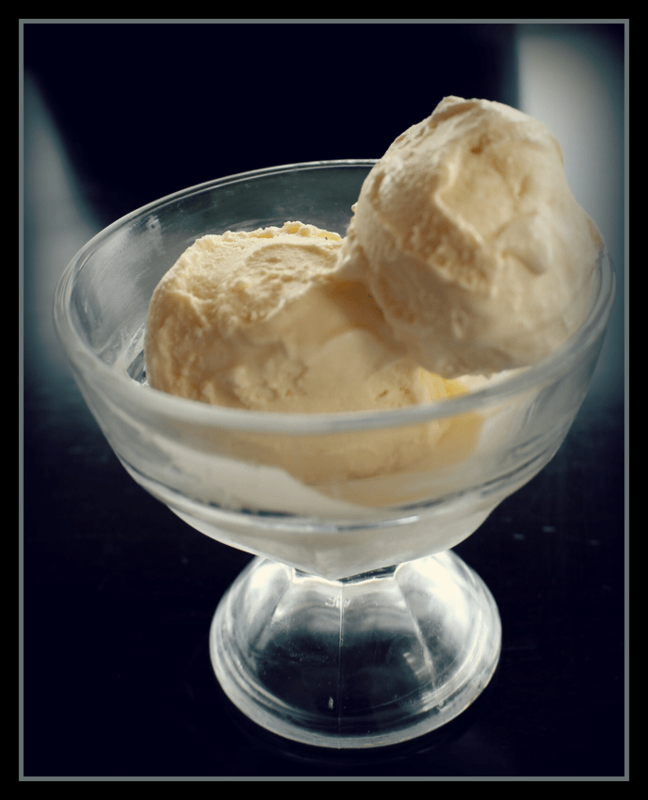 This ice cream recipe is so simple and easy to do. Even just the transition to making your own ice cream for your kids would be a huge step in the right direction for keeping your children safe from the harms of store bought ice cream that is marketed directly to children. Pour everything together and whisk in a bowl. Pour into your ice cream maker and follow the instructions for your maker. Place the ice cream into the mold and let freeze in the freezer. Oh my gosh! I’ve been looking for a good, simple recipe for vanilla ice cream.! I’ve also heard of one made of greek yogurt I’d like to get my hands on.